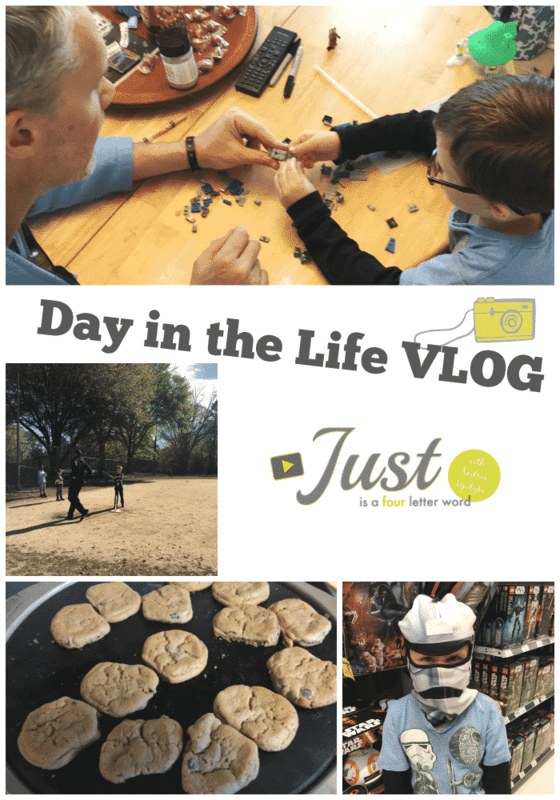 This week I tried something a little different and created a day in the life vlog. I’ve done day in the life blog posts over the years but I’d never done a video. It was so fun following the family all day taking video and they were great sports! I don’t know how often we’ll do these day in the life videos but I know I’ll enjoy looking back at them years from now, just like my blog posts. I chose a weekend day so we’d all be together. We ran errands, had fun, relaxed a little and made some pretty good headway on our chores. It was a pretty good representation of a typical weekend day for us. And I’ll tell you this, documenting it all was a challenge! I’m totally impressed by the people who do this several times a week or even daily. By the way, day in the life videos are everywhere on YouTube. I had no idea! I must have been living under a rock because while doing this project, I’ve uncovered so many great vloggers! Do you have a favorite? As you can see, I have a lot to learn so I guess it’s a good thing I love learning! If you have a favorite vlogger or you have your own channel, leave it in the comments and I’ll check it out. If you’re not following me on YouTube, come on over and join the fun!